EARTH SCHOOL :: Nature Awareness, Wilderness Survival & Self-Reliance Earth School - "LOVE THE EARTH EVERYDAY"
Richard is the founder and director of Earth School, based near Asheville, NC. He is a former Lead Instructor at Tom Brown's world famous Wilderness Survival School in New Jersey. Richard has also trained and studied extensively with Charles Worsham, a gifted Tracker and teacher of life. Other teachers he has studied with include, nationally renowned Cherokee herbalist David Winston, flintknapping experts Dr. Errett Callahan and Jack Cresson, as well as bowmakers Jim Hamm and Scott Silsby. Richard teaches programs throughout the United States and has also led programs in Australia. 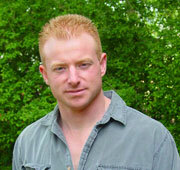 He has taught survival and self-reliance skills to Navy Seals and civilians alike. His Survival School has been featured on cable TV shows, local news channels and various publications. Richard has taught at The Rivercane and Falling Leaves Rendezvous and has been the lead Nature instructor at Victor Wooten’s popular Bass & Nature Camp since 2000. He’s also been a guest instructor at Wild Intelligence in Athens GA.
During the past 24 years, Richard has taught nature awareness and survival skills to over 15,000 people of all ages. He is an avid outdoorsman, a hunting & fishing guide, writer, public speaker and a self-trained Naturalist. Richard's Vision for Earth School is to create an environment where people can learn, share and respect the many gifts of Nature. A place to grow and explore both inward and outwardly as we each walk and honor the path of our sacred journey on this incredible planet. Stacey is an herbalist, forager, artist, and a lover of nature and life in general. She graduated from East Tennessee State University where she majored in Art. An avid reader and an outdoor enthusiast, Stacey studied herbs independently for several years before she attended a plant intensive at Earth School. She was so inspired by what she learned that she decided to further her studies in a formal herbal education with Juliet Blankespoor at the Chestnut School of Herbal Medicine. Her interest in plant studies was enhanced with the physical survival skills she has learned by attending further classes at Earth School. Stacey has been an inspirational and insightful blessing to our Earth School Staff. She is our lead female teen counselor at our popular Summer Camp. 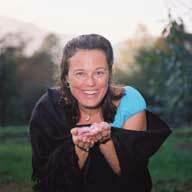 When she’s not teaching or updating our website and YouTube videos, Stacey can be seen frolicking in field and forest collecting wild food and herbs, experimenting with new culinary and medicinal creations in her kitchen apothecary, and embodying the nature-centered vision of change she wishes to see in the world. 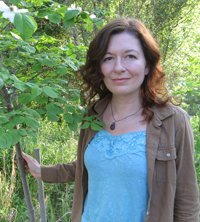 June Ellen is a certified Nutritional Consultant, Herbalist and Naturalist. Her formal education was at Wheaton College where she majored in Biology. She spent 7 years as a student, with Tom Brown, Jr. learning Native American skills & philosophy. JE has also studied extensively with Rosemary Gladstar, a leading herbalist in the US . Her travels have even taken her to Ecuador where she had the opportunity to work with a Native medicine man & shaman. Her education continues with various experts in the field. An accomplished Artist, her work reflects her passion for life and the natural world. As a member of the American Herbalist Guild and United Plant Savers, JE works to conserve native plants.our legacy for future generations. She has dedicated her life and art to the preservation of our beautiful planet. Seth began practicing native and wilderness living skills when he was only 10 years old. His voracious appetite for learning and a love of the outdoors led him to read hundreds of books on nature, survival, and outdoor living. He put that knowledge to the test throughout his teens, spending evenings, weekends, and summers in the woods, refining his skill and finding out what really worked in the field. He later became a "caretaker" for Tom Browns' Tracking, Nature & Wilderness Survival School's camp in the 'Pine Barrens' of southern New Jersey, spending an entire year living outdoors in his own handmade shelter. After his tenure as a caretaker, Seth spent two years as an instructor for Tom Brown's school, teaching thousands of students the skills to survive and thrive. He has studied with a number of outstanding instructors in addition to Tom Brown, including gifted artist and tracker Charles Worsham, flintknapping expert Jack Cresson, and Cherokee herbalist David Winston. Seth is also accomplished in the design and engineering of traditional timber construction, knife & toolmaking, woodworking, welding, and computer-aided design & graphics, in addition to being trained as a Wilderness EMT. Shannon is a life-long artist and gardener, with a love of wild edible & medicinal plants. She is a certified arborist and award winning garden designer, specializing in native plants and environmentally friendly landscape designs (owner of Shannon's Garden Gallery ). Formally educated at Florida Tech, in 1987, she graduated with a BS in Electrical Engineering and BS in Computer Engineering. Shannon is also a published writer, photographer, and illustrator. Her work appears in several books, Atlanta Journal Constitution, Georgia Gardening Magazine, and many other publications. She has appeared as the guest designer on HGTV's Landscape Solutions, utilizing rescued natives in the landscape. She is a Master Gardener and member of the Georgia Native Plant Society, which she leads plant rescues on sites slated for development. She has studied wilderness survival, edible & medicinal plants, and more under Tom Brown Jr, Richard Cleveland, Patricia Howell, and Mark Warren. She has also studied plant identification, botany, wildlife habitats, earth-friendly gardening through the Cooperative Extension Service/University of Georgia, NWF, and plant societies. Shannon has shared her unique relationship with plants with thousands of people. She continues to expand her knowledge and connect people to nature through her love of plants. Victor joins us from time to time to share his knowledge and Love for Nature & Music. 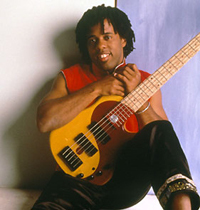 Vic is the bassist with the 5-time Grammy Award winning band Béla Fleck & The Flecktones . Since the age of 5, Victor has been entertaining and amazing audiences around the world with his funky grooves and jaw-dropping thumb technique. He also has an intense love of the outdoors and a deep commitment to education.